Ever felt the urge to launch a YouTube channel, only to find that the results don’t quite pass muster? Astonished by the high production values of the other shows, and concerned how you will manage to find your own audience, lost in the shadows of the established, big budget sites? Now is the time to put those doubts aside. Whether you want to make reaction videos How to Make a Reaction Video That YouTube Will Love How to Make a Reaction Video That YouTube Will Love Lots of different types of videos are successful on YouTube, but one of the most popular types of video is the "reaction" video. Here's how to make your own. 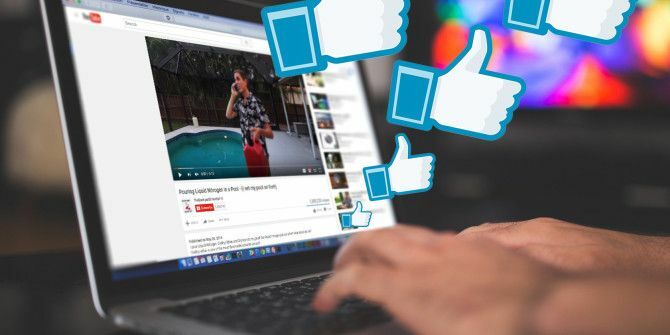 Read More or one of the other popular YouTube video types 10 Most Popular YouTube Videos You Can Make Today 10 Most Popular YouTube Videos You Can Make Today If you want to start a YouTube channel today, these are the most popular types of video you can make. Read More , if you don’t have the best tools, there’s a good chance that your efforts will be overlooked. The problem is you don’t have a 4K video camera, professional microphone, or Adobe Premier. You don’t have a studio, a Chroma green/blue screen, or the time to put into editing a video together. But as of now, you don’t need any of these things. The future is here – and it’s called Showbox. Slick, impressive video formats are available for you to create all sorts of content, from news bulletins to discussions and from reviews to lists. These are the bread and butter of YouTube, the kind of thing you find audiences clicking on every day. With Showbox’s pre-formatted yet highly customizable tool, you can produce your own YouTube videos with the minimum of effort. We’ve already told you that the high-end camera and mic aren’t necessary, but you will need something of reasonable quality here. This might be a smartphone camera or webcam built into your PC or laptop monitor; if you’re not happy about being on camera, however, Showbox offers camera-free options. You should also make sure you have a microphone that produces good results. You’ll also need a consistent, fast Internet connection with the bandwidth to upload video and stream it back to your computer for post-production (making edits and tweaks). Finally, if you’re not already using the Chrome browser Chrome vs. Firefox in 2016: Which Browser Is Right For You? Chrome vs. Firefox in 2016: Which Browser Is Right For You? I want to explore why people might prefer one over the other, and hopefully those reasons will shed some light on features and aspects that you may not have considered before. Read More , this will also need to be installed. Oh, and be aware: Showbox is a great tool, but it is currently in the beta stage. We don’t know when it is going live, or if it will cost money, but right now it is free-to-use and has a couple of minor bugs. These don’t prevent you producing great-looking YouTube videos, however. A wealth of impressive video templates is available with Showbox. To get started, head to www.showbox.com and sign in with your preferred Google account. This is best being the one associated with the YouTube account you plan to populate with new videos. When you’re signed in, click on Start a new show. You’ll see a collection of different video templates, some of which are described as “Media Only” (and require only videos/images) and others labeled “Record Yourself” (which obviously require video and/or audio footage). The templates cover many different types of video. Above, you can see a fundraising documentary video. 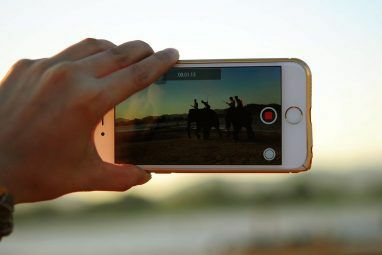 If you’re camera shy or don’t have the funds for a suitable device, you’ll prefer a media-only video option. In this example, we’re looking at the Top 5 template (note there is also a Top 5 (Video) template). Select the template to get started, and click Create. You can then select a Theme for the video; the selection here is vast, so make sure you give them a good look. Hover your mouse over each one to see how they look, or click to see a full preview. If you’re happy click Choose theme, or Close to consider a different option. When you’re happy, you’ll be invited to input some information, such as the show title and your name. You might also be asked to provide an image, but this will be optional. While we’re here, look for the Play opener sound toggle — this can be disabled if you have your own tune to add. To do this, click the Settings icon in the top-right of the screen, and click Change. Here, select from the library of alternative tunes, or use the My Media link to upload your own. Click Add Selected to import it into the video, and Save when you’re done. You can edit the length of the clip by clicking the Trim soundtrack button. It’s a good idea to fill in the Video details while you’re at it, as these are used to populate YouTube. Click Save to proceed and begin inputting the information for the Top 5 video, including adding as many as 20 images (more images mean more time for the captions to be read). Click Next to proceed through the five sections of the video, adding your details as you go. When you’re done, the Ending Text screen will request your closing line (perhaps a call to action to prompt feedback) and a URL or social account name for your viewers to follow. Click Next, and the video will be compiled in the background. Now is the time to make a cup of something hot and refreshing. If you opted for a video in which you make a physical appearance, the best results can be achieved with a blue or green screen (affordable screens can be found on Amazon). Not an option? Well, don’t worry, as Showbox offers some alternatives. Perhaps the best at this stage is the YouTube channel intro option, which you’ll probably want to spend some time on as you build your audience. With this option selected and a theme chosen, it’s time to name your video. When you click Next, you’ll have the option to add images (more images means a longer video), input text for a caption, and then record yourself. Videos can either be captured instantaneously with your webcam, or uploaded from your hard drive. This is ideal if you have recorded yourself with a good quality camcorder or DSLR camera 5 Courses to Create Great Videos With Your DSLR Camera 5 Courses to Create Great Videos With Your DSLR Camera Udemy is home to some of the best DSLR video tutorials online. Get started with these affordable courses if you curious to upgrade your skills in shooting video. Read More . Click Next when done, and add a goodbye message. When this is done, click Next one last time and wait for the video to render. 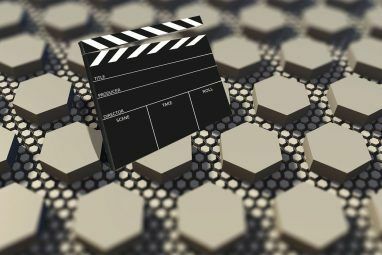 If you feel the video on offer isn’t long enough, you can create your own show format with “scenes” — this essentially allows you to use multiple show formats — with the Create your own button on the Choose a video format screen. With the video completed and ready to view, it’s time to review the results. Should you need to make any changes, click Edit. Each scene in the video can then be edited, with video, sound, and captions all subject to change. This section works like any timeline-based video editor The Best Free Video Editors for Windows The Best Free Video Editors for Windows Everyone takes videos these days. Yet powerful free video editors remain rare. We present the absolute best free video editors available for Windows. Read More , so if you’ve used video editing software before, it should be quite clear what to do. If not, the interface is intuitive enough to help you quickly learn. If you’ve chosen a video without a voiceover, you can add this here by clicking the appropriate button. When you’re all done, hit Save, then either Next through to the end, or click Finish at the top. When you’re done, hit the Publish button, which will complete the process. All you need to do now is share the video online. You’ll see options to upload to YouTube and Facebook, as well as share to Facebook and Twitter, and you can also embed the video in your webpage or blog. These options all work as you would expect, and the sharing is made even simpler if you’re already logged into those accounts. Note that when sharing to YouTube, you’ll still need to set the video to Public in YouTube’s Video Manager screen. When the video is uploaded and shared, you’re all done — you’re now the producer of slick, professional-looking YouTube videos! Is This the Easy Video Production Tool You’ve Been Waiting For? Showbox is such a superb web app, we’re surprised no one has offered something like this before. We’ve only scratched the surface with these tutorials, and just know you’ll find a tool that is easy to use and get good results from. Will Showbox improve your YouTube channel? Might it ease your workflow for some or all of your YouTube videos? Or will you stick to your tried and tested tools? Tell us in the comments. Explore more about: Record Video, Video Editor, YouTube. Awesome tip and review, Christian! Might be enough for me to take the leap.